This full-day tour is designed to give a complete overview of the most well known towns on the Amalfi Coast, an iconic region of Italy. 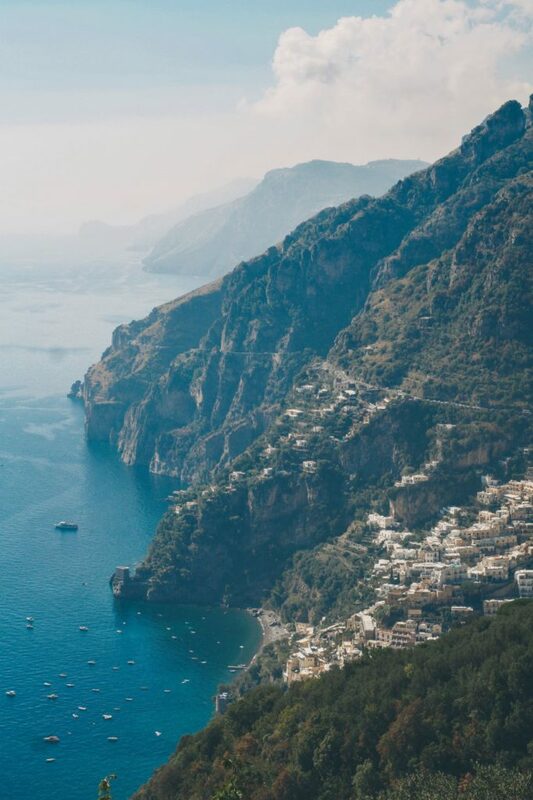 Your driving guide will take you on an unforgettable journey that will cover the regions of Amalfi, Sorrento, and Ravello. You will ride in comfort along the scenic routes overlooking the Sea and charming fishing villages while your driver recounts the history and the traditions of these jewels of Italian geography. 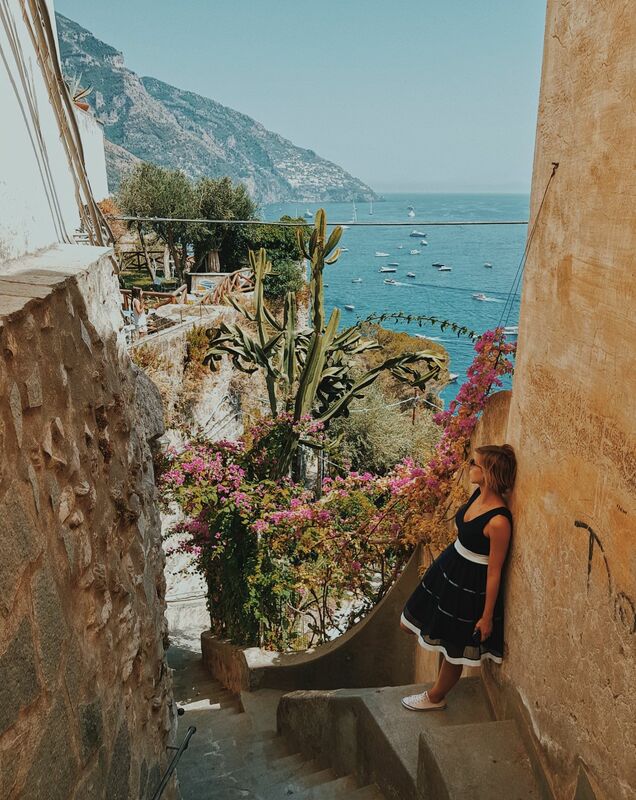 In Amalfi, you will learn about the splendor of the old town. At one time, Amalfi stood apart as the leader of maritime traffic in the Mediterranean! You will have time to walk around the fascinating streets and visit the Duomo, dating back to the Ninth Century. After lunch you will take the road that slowly climbs up along the mountain to reach Ravello. Once on top, you will have the opportunity to enjoy breathtaking views and the beauty of this hamlet. For centuries, Ravello has inspired the hearts and minds artists from across the entire world! You will also have the chance to admire Villa Ruffolo, boasting the favorite terrace of Richard Wagner! Further, you can also visit the Villa Cimbrone, once a retreat of royalty and celebrities such as Greta Garbo. Contact IttM to request more information, or start planning your tour of Italy today. Your English-speaking driver will pick you up at your Hotel and take you to the Caseificio Michelangelo in Sorrento, here you will have the opportunity to explore the grounds of a true Italian Cheese Factory. Upon arrival, you will be provided with a disposable outfit (to cover your shoes, a coat, and a hat), to protect your clothing as well as maintain sanitary standards in the factory. You will learn the process of how to make Italy’s famous mozzarella cheese, watching the first drop of milk turn into a cheese you can sample. You will then have the chance to create your own mozzarella alongside the professionals. The next part of the tour is a step inside the refrigerated room, where they dry and season more than 1,000 “Caciocavallos” – a type of curd-stretched cheese, famously seasoned with Caseificio Michelangelo’s own special touch. From there, you will finally reach the tasting room, where you will sample several cheeses, from fresh mozzarella to smoked mozzarella, seasoned cheese, and aged cheese. No tasting would be complete, of course, without a glass of local red wine. From here you will continue on with the Limoncello Factory Tour. Just a few minutes from the cheese factory, you will walk to the Limoncello Factory where you will have the opportunity to witness a handmade demonstration of the Limoncello making process. You will then tour the factory with all the silos that are filled with various liquors to learn more about how to make Limoncello, and you will finish with a Limoncello tasting with cookies, lemon granite, candy, confetti, and various types of cream. 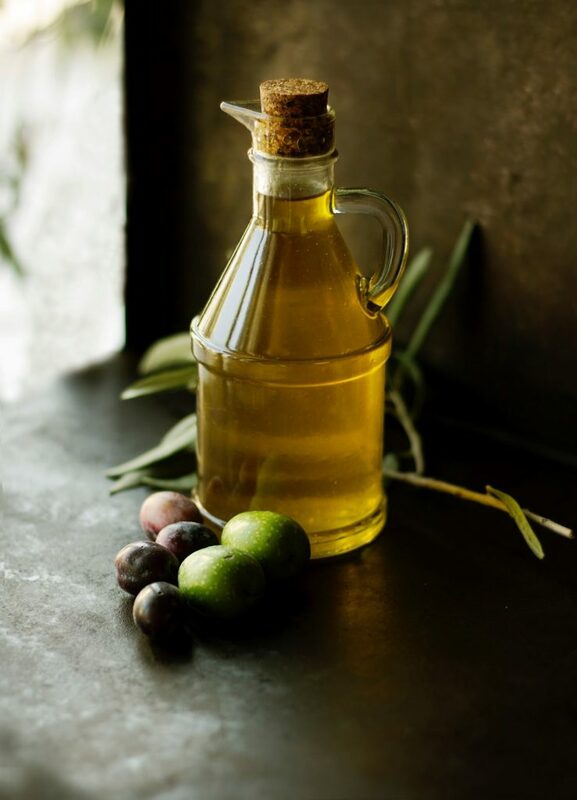 After the tour the driver will take you to a nice local restaurant for lunch before getting to the next stop at the Frantoio Gargiulo, experiencing the ancient tradition of oil millers. You will visit the olive grove with a presentation of the areas for the cultivation and collection and the mill of the 1849 with old millstones and metal press to learn the ancient technique of olives processing, then a visit to the modern mill with a description of the modern processing and finally you will get the fundamental help to taste olive oil to allow you to get to know this fundamental element, passing from accessory to protagonist of the table. After this unique experience and time schedule permits, your driver will drop you in Sorrento for a nice stroll and some shopping on your own before going back to your Hotel. Start planning your tour of Italy today. Your driving guide will pick you up at your hotel on the Amalfi Coast and take you to Pompeii. Here, you will meet your licensed guide for a two hour walking tour of the archeological site of the buried city. 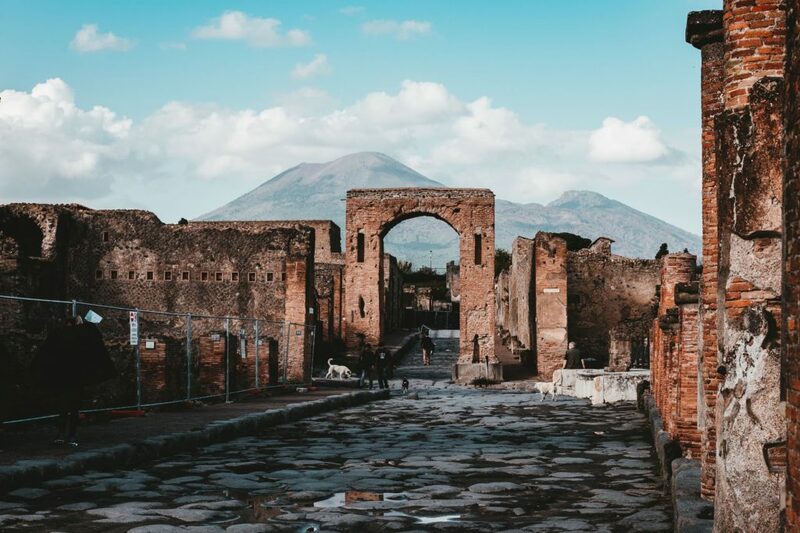 You will follow your guide through the town destroyed by the eruption of Mountain Vesuvius in 79AD, and learn about the mysterious city and the culture of the people who lived there. This is a unique experience in understanding the life, architecture, and traditions of an old Roman town. You will learn about every-day life and customs in a fascinating journey that will take you back in time, for over two-thousand years of history! After the tour, you will drive to Sorrento—the busiest town in the area—with an unbelievable view of the Gulf of Naples. Here, you will have the opportunity to dine in one of the local trattorias, or, perhaps you would prefer to taste the best pizza in the world? After lunch, you will have time for some shopping before returning back to your hotel! Named by the local “Il Sentiero degli Dei” this 4 miles trail, out of the beaten path, will take your breath away with its astonishing views and untouched landscapes of one of the most famous piece of coastline in the world. You will walk across the passes of Sant’Angelo a Tre Pizzi mountain, admiring the enchanting panoramas of Praiano, Positano, Li Galli Islets, Capri and its Faraglioni rocks. This trail goes through tunnels of elm and oak trees surrounded by strawberries bushes and Mediterranean vegetation; it crosses wild cliffs adorned by prehistoric caves and terraced vineyards, to end up at the small village of Nocelle at the bottom of the Monte Pertuso, which is only 2000 stairs steps away from Positano and its fairy-tale like colorful villas.